Real Deal Retirement » Blog Archive » Where Can I Find No-Risk Investments? Where Can I Find No-Risk Investments? I have money that I want to invest, but I also want to know that my principal will always be safe. So I’m looking for no-risk investments. Any suggestions? I get why you’d want to home in on the most secure investments possible. After all, the market’s been yo-yoing up and down like crazy much of this year and many investors are worried that this recent uptick in volatility could be the prelude to a major slide in stock prices. But before you start pouring your money into investments that seem to be totally safe—and believe me, you won’t have any trouble finding someone to direct you to such investments—there’s one important thing you need to know: No investment is completely risk-free. When you invest with the goal of avoiding one risk, you necessarily open yourself up to others. So, for example, you can easily achieve your goal of keeping your principal safe. 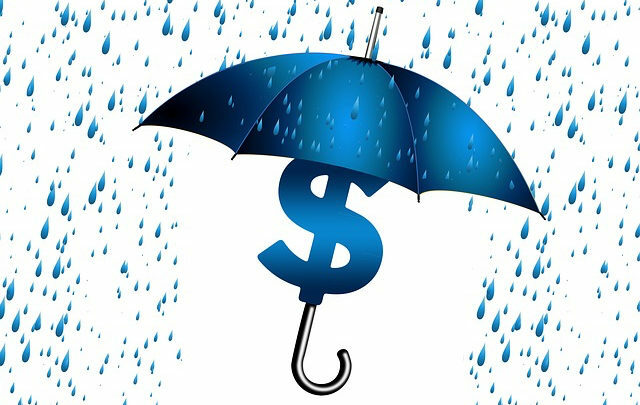 Just stick to FDIC-insured investments like savings accounts and money-market accounts (money-market funds, especially ones that limit themselves to Treasury securities, are also highly secure, but not FDIC-insured). You’ll not only protect your principal, but also any gains your principal may generate. The downside of doing that is that you’ll earn a low rate of return, which means your savings may not grow very much over the long-term. Indeed, it’s possible you might not even earn enough to maintain the purchasing power of your savings after paying tax on the interest you earn. Of course, you may be able to earn somewhat higher rates of interest by venturing into non-FDIC-insured investments that are still relatively secure, such as fixed annuities. 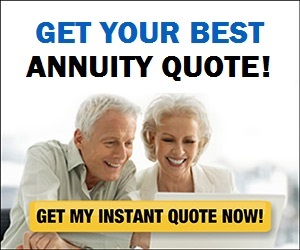 Not to be confused with immediate annuities, which may be useful in some situations for generating guaranteed income in retirement, fixed annuities pay regular interest much like CDs, although that interest isn’t taxed as long as it remains within the annuity. You could have to pay a surrender charge or other levy on withdrawals in some circumstances however. If you’re younger than 59 1/2, you might also incur a 10% penalty on gains you withdraw. But the main point is that there is a direct relationship between risk and return. The less risk you’re willing to take, the lower the return you’re going to earn—and the harder it will likely be for you to achieve such long-term goals as building a nest egg for retirement and ensuring that nest egg will be able to support you throughout a post-career life that, as this longevity calculator shows, could last 30 or more years. Some people may try to give you the impression that there’s a way around this fundamental concept, that there are investments that offer all gain and no pain or higher returns without more risk. And there’s a long history of people being enticed into all sorts of investments that turned out not to be nearly as secure as they seemed. But any investment that purports to offer higher returns always involves more risk, even if that risk isn’t always apparent. So what do I thinks investor who are very concerned about the security of their savings should do? Well, if you’re really so worried that you need to be sure that every single cent of your money is always rock-solid secure—that is, you simply can’t countenance the possibility that the value of any of your savings could drop, even temporarily—then you should probably stick to FDIC-insured savings vehicles like savings and money-market accounts. You won’t earn much in the way of returns. But by going to sites that identify institutions offering the highest yields, you can at least know you’re getting a competitive return. If you’re willing to give up some access to your money and some degree of security, you could look into other secure investments such as fixed annuities. But I warn you that fixed annuities and variations on them that are touted as alternatives to savings accounts and CDs can come laden with any number of hitches and charges. I’m not saying it’s impossible to sort through the conditions these investments impose. But based on emails I’ve received from investors over the years, I find that many people don’t fully understand what they’re getting into as well as what it may cost them to get out. And while I don’t want to suggest that all people who sell such investments are taking advantage of their customers, it’s important to recognize that annuities often offer sales people generous commissions and other perks as outlined in this 2015 report from Senator Elizabeth Warren. The question I think you should ask yourself, though, is whether it’s really necessary to limit yourself to only the most secure investments. Indeed, I think you might at least want to consider an alternative strategy that would provide an acceptable level of safety while also giving you a shot at higher long-term returns. Here’s how such a strategy would work. The money that you truly need access to at all times and that you really can’t afford to put at any risk—say, a cash reserve for emergencies and unexpected expenses, cash to pay a year-to-two’s worth of retirement expenses beyond what Social Security and any pensions would cover—would go into the most secure and most liquid investments, by which I mean an FDIC-insured savings account or money-market account and/or a highly secure investments like a money-market fund. Again, you wouldn’t earn much on this portion of your savings, but you would have virtually constant access to it and you wouldn’t have to worry about loss of principal or interest. The rest of your money you would then invest in a mix of stock and bond mutual funds (preferably low-cost index funds) that has the potential to generate higher returns that can grow the value of this component of your savings stash and maintain its purchasing power in the face of inflation over the long-term. Make no mistake. The value of this portion of your savings would fluctuate up and down with the financial markets. The part that’s invested in stocks could be quite volatile. In severe bear markets in the past, stock prices have declined by 50% or more and taken years to regain that lost ground. But you can mitigate the impact of periodic huge declines in the stock market by limiting the amount that you invest in stocks and instead focusing more on bonds. The idea is to arrive at a blend of stocks and bonds provides reasonable growth potential yet sufficient downside protection that you won’t freak out when stocks go into a tailspin. You can see how different mixes of stocks and bonds have performed in the past and get a sense of how you might want to divvy up this portion of your savings between stocks and bonds by completing Vanguard’s investor questionnaire. If the two-part strategy I’ve outlined appeals to you but you’re not confident you’re up to pulling it off on your own, you could always hire an adviser for help. Just make sure you’re getting actual advice as opposed to a glorified sales pitch.